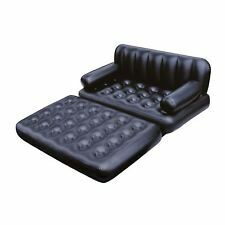 2 in 1 Intex Inflatable Pull Out Sofa/Airbed. Note: Before inflating the sofa, there is an important step to" make the exhaust valve cap of the 2-in-1 valve tightened securely. Watch TV, read a book, or just relax with a friend and then pull out the cushion into a queen size air mattress when you are ready to go to sleep. This beautiful day bed is made in a lovely nostalgic style. A piece of furniture which will immediately catch your eyes. The frame of the bed is made of metal and is painted black. Quick-fill electric pump for all Inflatable cushion,inflatable bed, balloon, Inflatable boat, inflatable furniture, Inflatable goods, etc. Pumping: inflatable swimming / wading pool, air-bed, air-mirror-finished and other air products. Inflatable backseat car mattress, comfortable. 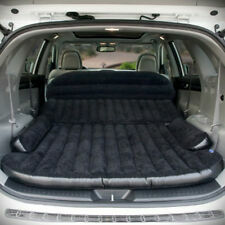 1 x Car Air Mattress. Excellent option as an outdoor camping recliner, convenient, sleep well. 1 x Repair patch and glue kits. Easy to fold and unfold, easy to deflation. Brooklyn Futon Mattress. This Brooklyn' roll up mattress is very versatile and comfortable, it's roll up with ties and have a convenient carry handle for easy storage and transportation. Lightweight, comfortable and easy to carry. 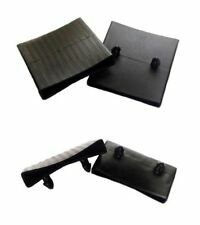 The Centre Support Rail With three Integrated Feet. Berlin Single Bed in Black Crushed Velvet. Woodbury Black Velvet Double Bed with 4 Storage Drawers. Material: Fabric (Velvet). Living Room & Hall. Dining Room & Kitchen. Assembly: Self assembly required. Our softside foam shoulders are One-piece padded shoulders adding to the strength and longevity of any waterbed. The strong yet soft nature of the foam shoulders make them so luxurious, as well as having an integral hinge which holds each individual shoulder in place. Universal Bed Cross Rail Support Kit Adjustable Width / Height With 3 Integrated Feet ( 2 Rails ). The bed must be a minimum if 1390mm for this Cross Rail System to work. 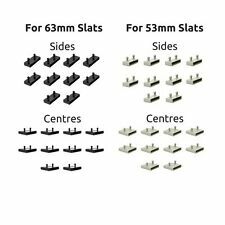 This cross kit is designed so you can have a slatted bed base on your bed when it is not possible to have a centre rail.